Everyone wants to change the world for the better, but where exactly does one start? As it happens, right in your home. More specifically, your roof. As one of the largest parts of your home, your roof also levies one of the biggest environmental impacts on it. For instance, an old roof with poor insulation can cause your energy bills to skyrocket. Without adequate insulation, heat easily penetrates your home in the summer and escapes easily in the winter, causing your HVAC system to work overtime. Something as simple as the color of your roof also impacts its energy efficiency. If your home features a flat roof, more often than not it’s colored black. Unfortunately, dark hues readily absorb solar energy, thereby increasing indoor temperatures at home. Simply painting your roof white allows it to deflect a considerable amount of solar energy and slash your home’s energy consumption. According to Shelton Roofing, which installs roofing in Menlo Park, CA and surrounding areas, your roof’s material greatly impacts how eco-friendly it is. Below are just two materials that are kinder to the environment. As the name implies, wooden shakes are just like shingles, but made with wood. One of its most immediate benefits is that it is biodegradable, as opposed to synthetic materials that can take years (if not centuries) to decompose. However, not all wood shakes are made equally. If you plan to use this material, make sure that the wood is sourced from abundant and sustainable trees to lessen your roof’s impact on the environment. There’s no two ways about it. Slate tile roofs are expensive to install. But think of it this way–you are not purchasing a roof, you’re investing in one. This is because slate tiles are one of the most durable roofing materials known to man, capable of lasting up to 100 years. It’s not surprising that many historical buildings and homes around the world sport slate tile roofs. Because you don’t need to replace your roof every few decades, you’re also reducing the amount of waste you contribute to the country’s landfills. 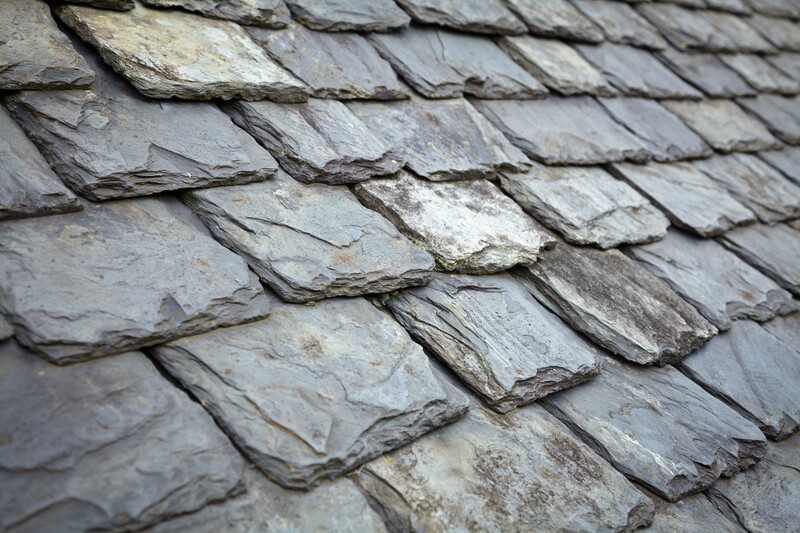 A slate roof is a major investment, but it’s the last roof you’ll ever need to buy. Speaking of landfills, contractors like Shelton Roofing specialize in responsibly disposing old roofing materials in an effort to reduce unnecessary waste. If you’re in pursuit of new roofing in Sunnyvale, CA, be sure to ask your contractor’s policy on roofing material disposal.